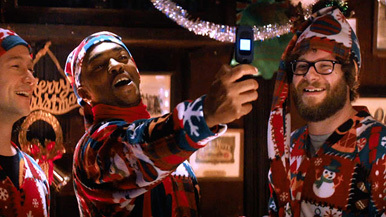 Kim Hollis: The Night Before, a pre-Christmas comedy featuring Seth Rogen and Joseph Gordon-Levitt, earned $9.9 million this weekend. What do you think of this result? Jason Barney: This is probably a disappointing opening, I have to imagine that Rogen and company were hoping for a little stronger number. There was no indication that this was going to open anywhere near its budget, which was around $25 million. However, that budget number is pretty cheap, and there is definitely a chance it could match it over the course of its run. Beyond that, there is not much here. A $10 million opening gives it a shot, but we don't know the marketing costs involved, so it would have to have an impressive run over next weekend and stick around for a couple of weeks. With the Rotten Tomatoes score of 63% fresh, it might get some positive word-of-mouth, but I think it will be gone pretty quickly.